Bastian Schweinsteiger is set to leave Manchester United, despite re-joining first-team training on Monday. The German midfielder made a shock return at Carrington, after Jose Mourinho froze him out since he took over in the summer . Schweinsteiger has been training alone ever since and is yet to make an appearance this season, as United’s difficult start to the new campaign continues. Despite his surprise recall, the 32-year-old will not be able to play against Fenerbahce in the Europa League this Thursday, as Mourinho did not include him in the squad he submitted for the competition. He was categorised as a player ‘no longer considered a member of the first-team playing squad’ when United released their fourth quarter financial results last month . A move to the Major League Soccer (MLS) in America remains most likely, when their transfer window reopens following the play-offs on December 11. 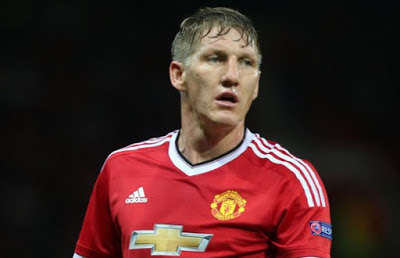 However, Schweinsteiger, whose contract expires in 2018, is still eligible to play in the Premier League after being named in the squad for domestic games.